Home ownership is many things to many people; freedom, independance, autonomy. 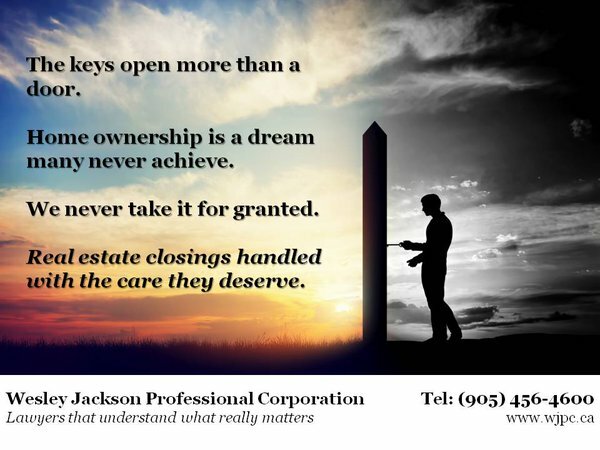 But its also a legal issue, and we are here to make sure that you have good title so that you can enjoy the benefits of home ownership. Please be patient, and bear with us as we build you a new web portal. © Copyright 2019 Wesley Jackson Professional Corporation. Lawyer Landing Page by Rara Theme. Powered by WordPress.